Good points here and perspective. I like Richardsons skill set and raw talent. That said, I am not expecting much from him this year. I'd hope he can catch 4 to 5 plays of 30+ yards are more, I'll call that about what I'd expect him to give us, and be surprised he provided us more. I won't be surprised if he pulls a hamstring during preseason and plays less than 8 games. Gruden seemed to get better at times in managing D.Jax playing time. Hope he can limit Richardson playing time, and use him very effectively/efficiently/optimize his talents during situations, to keep him fresh and healthy all 16. Sure you can nit pick. But the overall point is 3 out of 4 NFL seasons he had 300 yards or less. Overall he is unreliable and inconsistent. He is not Jordan Reed - when healthy dominating...even when he was healthy before this past season he struggled. This past year he had the benefit of having no other WR in front of him on the depth chart after Baldwin....and he had one of the best off-schedule QBs of this era throwing him the football....that combined with his speed is more an aberration of why he had such a seemingly decently productive season. I like Richadsons raw speed. We all understand we overpaid for it. He is inconsistent and unreliable, and not someone you want to bet on. Clearly I hope he proves me wrong this season. But if history is any indication, its very, very unlikely. We have enough cap space? Pay him $4-5M for 1 year. Done deal. The better receiver is clearly Crowder. 1. Durability - 47 games played in 3 seasons. 2. Production - 192 catches, 2,240 yards, 12 Tds 3. Reliability - 68% Catch Rate Paul Richardson 1. Injury Prone - 47 games played in 4 seasons, 2 ACL tears 2. Lack of Production - 95 catches, 1,302 yards, 8 tds 3. Unreliable/Inconsistency - 58% Catch Rate, 3 out of 4 NFL seasons he had 300 yards or less. Intangibles: 1. Stretching field: Richardson > Crowder (probably the only thing Richardson has over Crowder, and Crowder ran a 4.46) 2. After catch: Richardson = Crowder The floor with Crowder is much higher, at least 59 catches and 600+ yards in each of his 3 seasons. His best season was 847 yards and 7 tds, which is pretty stellar too for a slot guy. Richardson has no floor, and his ceiling is essentially what he did last year IMO. He will be our deep threat and probably get 400-500 yards if he stays healthy all 16 games. We paid for that 4.3-4.4 speed hoping it would be the element missing to stretch the field, and open up lanes for Reed, Crowder, Doctson underneath. I'm going to jump right into it: 1. Dan has built a nice resume of partnering with some of the best football minds in this era. - Norv Turner (2x superbowls as OC, 250 games as HC) - Marty Shottenheimer (6th all-time in wins as HC) - Joe Gibbs (3x Super Bowl winner) - Mike Shanahan (2x Super Bowl winner, 1x SB as OC) - Jay Gruden (7x top 10 passing offense as HC, OC) - Scott McGloughan (SEA and SFO Super Bowl architect) - Eric Schaeffer, respected contract negotiator - Brian Lafemina, respected NFL executive 2. We are finally seeing the right approach in how to build a team. Being fiscally prudent, building through the draft, signing our own, while creating a relevant identity. Since 2012, we have had fairly good offenses - by investing properly in: - First offensive minded coaches: Mike, Kyle, Mcvay, Jay. 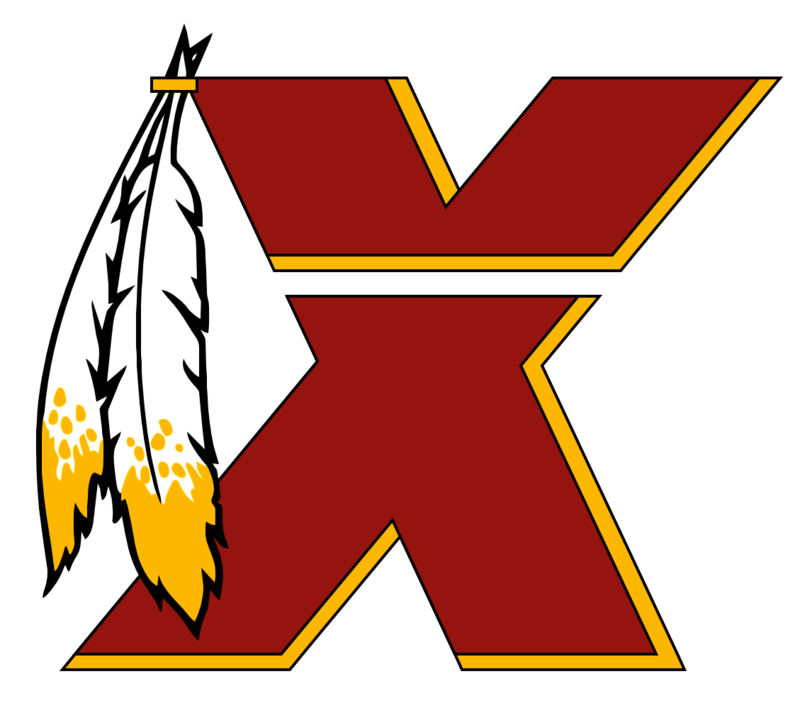 (which is smart in this era of football) - Second the QB position: RG3, Cousins, Smith, McCoy - Third, the offensive line: Resign Trent, draft/resign Moses, draft Scherff, draft Rollier, Christian In the past 4 offseasons, with the foundation on offense fermenting, we have begun to invest in defense: - First drafting pass rusher: Preston Smith - Second signing top 5 CB in Norman - Third, investing in very good defensive positional coaches: Gray, Tomsula, Manusky(originally as LB coach) - Fourth, drafting d-line: Ionadis, Allen, Payne, Settle - Fifth, drafting quality defensive BPA: Fuller, Jarret, Moreau, Nicholson, Apke Planning for the future - Cap space in 2019 and beyond for Crowder, Smith, Scherff (not signing any big name FAs to take away from signing our own) - Loading up on compensatory picks for 2019 (4-5, maximum allowed) - Retaining all 2019 draft picks (7) 3. Stability in Leadership The first HC to be signed an extension under Snyder is Jay Gruden. Jay is a solid coach. Jay consistently puts out a .500 squad or better, with a top 10 passing offense consistently. With a bit of luck and things falling our way for once, Jay could easily find himself with an 11 win team. In summary, Dan has some more growing to do for sure. One, getting us to at least a NFC conference title game and SB, however incremental progress is what we have steadily seen the past 5-10 years. Dare I say is he maturing as a competent owner. P.S. I have hated Snyder for a while now. I wanted Shottenheimer to continue as HC. I wanted Greg Williams as HC after Gibbs left. I wanted Mike/Kyle over RG3. I wanted Kirk over RG3. I wanted Scott over Bruce. The list goes on....that said, there is no denying the above three pillars to Dan's maturation: Partnering with great football minds, building teams the right way, and creating stability in leadership - we are seeing the fruits of these 3 pillars ferment into the current make up and forward looking trajectory of our team. I think most of us are thinking the same thing haha, this is everyones new favorite option as a stop gap. At least it is for me. Can't beat having the #12 best overall guard from last year as your starter in your weakest position on your entire team. Man that would be sweet! Here is an option: " Bills released OG Richie Incognito. Incognito was believed to have retired last month, but he reportedly flirted with the idea of reporting to the Bills' offseason program, and has now been granted his release. Incognito turns 35 before the season, but he has continued to play at a high level. He was PFF's No. 12 overall guard in 2017 and No. 7 in pass blocking. If his heart is still in it, Incognito should not struggle to land a starting job on the open market. May 21 - 4:07 PM"
Bingo. Trade for Lang from DET. Solid suggestion. Moses is paid too much for what he does at RT. Why not being the offensive line more value by bringing him to LG. Play Nseke or Christian at RT. Good points. The overall thought process makes sense to me. Nice analysis. I’d add that in anticipation to next year CB will become a need as we may look to move on from Norman $. However I do like Norman. Great points. Well said. In regards to LG, at this point it’s just a difference of opinion on how much a priority LG was this offseason vs. options available to them vs. level of chronic situation our rushing offense has been under Gruden error. We are dead last in league in rushing offense under Gruden. However, the future of the league is passing game and we have steadily been an impressive top 5. Trent is getting paid crazy money. Who could argue forcing him to play LG wouldn’t give us a top 10 rushing offense overnight, especially now that we have Guice. We have ave plenty of options at LT. Moses, Nseke, Christian, etc If Trent really wants superbowls, and to claim Hogs 2.0, why doesn’t his arrs get to work and lead by example as a mauler that sets the tone of each offensive possession by pushing his opponent backwards and opening up gashing holes. It’s a no brainier folks. I agree with the tone. in my honest opinion you get a top 5 run blocking LG in NFL in here we have a top 10 running game overnight. Trent Williams is getting PAID insane money. I say give him some tough love and force him to play LG and build up the mantra of him symbolizing a conversion within himself as a true leader of hogs 2.0 and he can be the next William Shields. #HOF come on Trent. We are talking Super Bowls with you at LG. I know it!